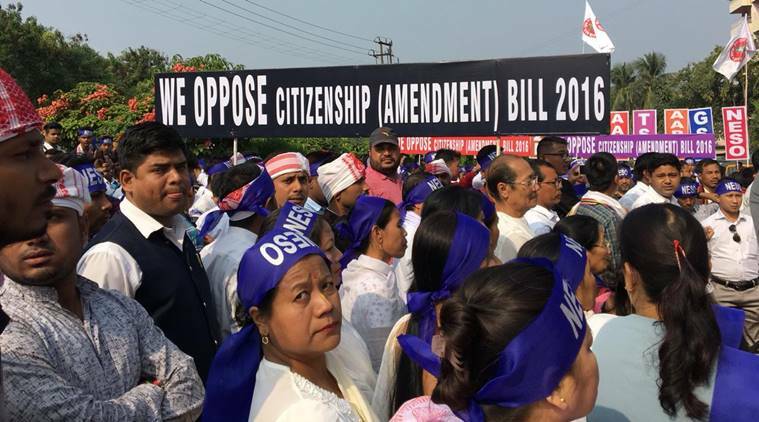 More and more organizations across the state of Nagaland has extended support and solidarity to the bandh called on Monday in protest against the Citizenship (Amendment) Bill, 2016. The 10-hour state-wide bandh will be observed from 6 am in the morning till 4 pm in the afternoon. The Central Nagaland Tribes Council (CNTC) through a statement issued by its media cell stated that it has endorsed its full support to the state-wide bandh called by NGBF. The Naga Council Dimapur (NCD) has also extend solidarity to the state-wide bandh called by NGBF and Naga civil societies against the contentious bill. It also urged all to stand united against the Bill. NCD general secretary, Thsapongkyu Sangtam in a statement issued to the media on Saturday reiterated all that the ‘Bill was not only detrimental to the people of north-eastern states, but intended to reduce the indigenous people of the region to a minority in their own land’. It accused the Central Government of trying to accord citizenship to foreigners on the basis of religion. NCD has also appealed to the State Government and also the lone Rajya Sabha member to oppose the bill and vote against it. The opposition Nagaland People’s Front (NPF) has also extended its full support and cooperation to the total shutdown across the state called by the NGBF to demonstrate the opposition against the controversial Bill. The Eastern Nagaland Peoples’ Organization (ENPO) has also resolved to impose bandh in the ENPO jurisdiction on February 11 from 6 am to 12 noon. Mokokchung District GBs Association (MDGBA) will also be imposing the state-wide bandh in Mokokchung, according to reports. Government appeal: Meanwhile, the State Government appealed to the civil society organizations (CSOs) to reconsider the proposed shutdown on Monday. In a press communiqué issued by chief secretary Temjen Toy, the government stated that it will propose adoption of a resolution to oppose the Citizenship (Amendment) Bill in the forthcoming Budget session scheduled to be held on February 21, as decided during the January 31 consultative meeting held in Dimapur.